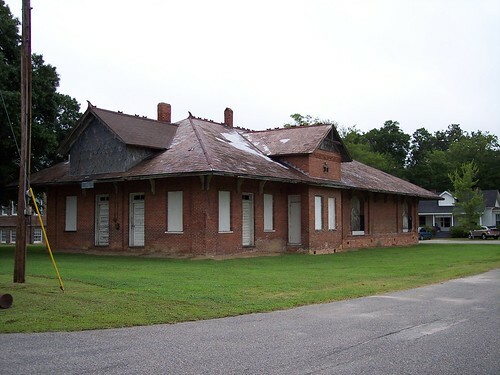 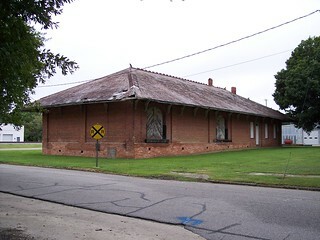 The old station building in Elm City has been boarded up but is still standing. 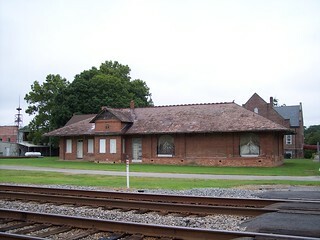 The small blue sign below the dormer on the left has a very faint Elm City written on it. 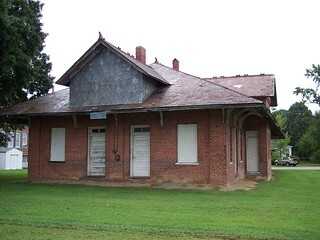 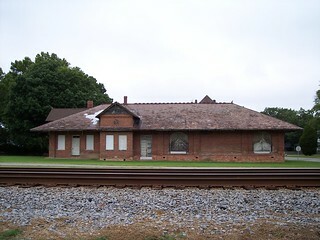 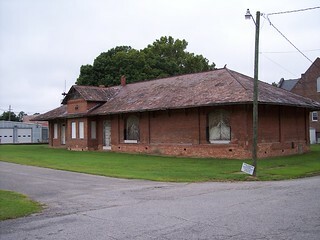 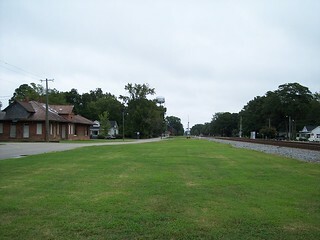 The station once served both passengers and freight. 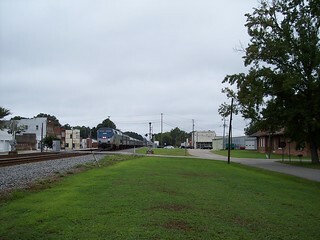 The Amtrak Carolinian rolls past the former Elm City station.